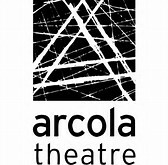 With it’s subtle political jokes (a ‘stags for remain banner’ clearly shown) and modern dance pieces entwined with classic Shakespearean text, it feels like this performance was designed to try and draw in newbies to the classics. 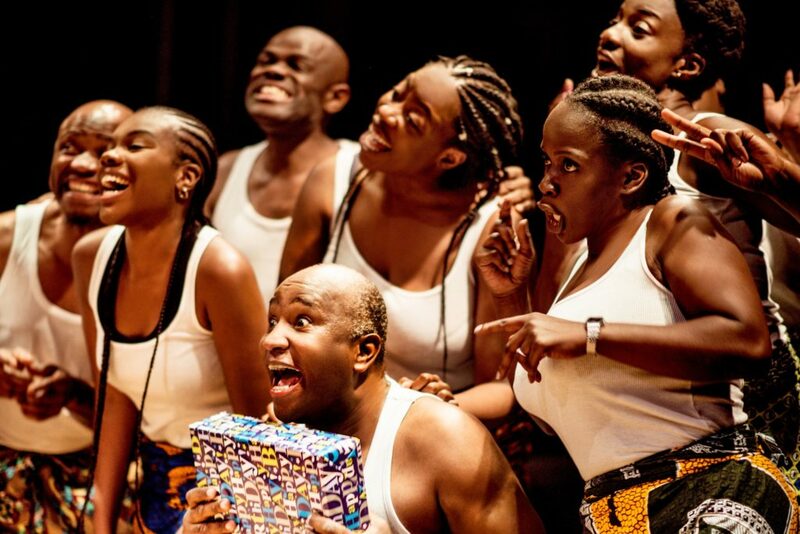 Despite this, Shared Experiences’ production of what has been shown to be an audience favourite of The Bard, has proven to humour a Shakespeare aficionado. You’d think with an alumni of Vanessa Redgrave and Helen Mirren (to name a few) starring as Rosalind, a young actor would be quaking in their boots to take on such a role. 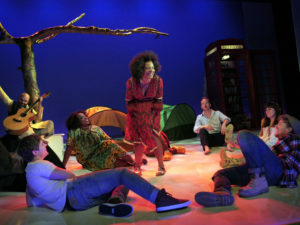 But, Jessica Hayles takes it in her stride providing a refreshing new take on the character. Layo-Christina Akinlude shines as her cousin Celia when they move to the mythical Forest of Arden, after fleeing persecution in her uncle’s court (now portrayed as some kind of political office). Libby Watson’s design for Arden comprises of a desolate stage with white walls and floors reminiscent of a cell, tinged with artificial hues of hot pink and green (lighting by Chris Davey) that remind me more of neon raves rather than a quaint and tranquil haven. Furthermore, the only other indication that this is a forest is one lone, artificial, barren tree which wobbles as the actors climb up it. Poorly placed projections add nothing to the set or the story. The actors more than make up for what the set lacks. 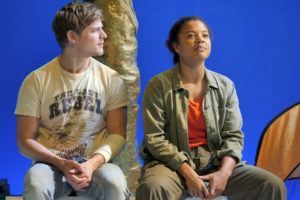 On top of the two heroines’ stand out performances, Nathan Hamilton sets the stage as an angsty teen version of Orlando, the main love interest who progresses to a love stricken outcast from the office/court while Matthew Darcy shines as, among other characters, the pantomime Audrey. This play feels like it was aimed at a younger audience. One who would appreciate the selfies and Glastonbury feel to the camp in Arden. Despite this, it appeals to everyone, regardless of whether you like Shakespeare or not. It’s fun and funny to watch and you’ll catch yourself empathising with the characters of this centuries old, yet timeless, play. Directed gaily by Kate Saxon, the company embody the lighthearted foolishness that makes the play what it is; a playful romp through one of the early examples of a romantic comedy.